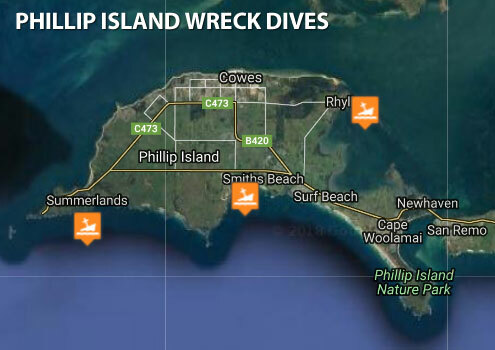 Phillip Island in Victoria, Australia, has some awesome wreck dive sites for you to explore. The Coramba (aka TSS Coramba) is socially and historically significant, as one of Victoria's worst shipwreck tragedies in living memory. Relatives of those who were lost are still alive, and the tragedy claimed the lives of fathers and breadwinners during the Depression. 17 lives were lost in the tragedy. The Coramba served the Western District ports and had replaced the Casino which had also been tragically wrecked two years before. The wrecks of the Casino and Coramba were the death knell for steamship services to the Western District as railways and road transport replaced shipping for trade. 'The Coramba Gale' in which the Coramba foundered is still one of the worst storms recorded to have hit Victoria, with widespread flooding, wind damage and property loss in the south eastern Melbourne metropolitan district. After 7 years of searching the TSS Coramba was discovered by SOE on the 29th May 2011 approximately 10 nautical miles south of Seal Rocks, Victoria. Southern Ocean Exploration: TSS Coramba. TSS Coramba, Twin screw steam ship, 531 ton. Built in 1914 by Fleming and Ferguson in Paisley Scotland as the Sir William Matthews, she was a twin screwed steam bucket dredge. She was purchased by the Melbourne Harbour Trust on 10 October 1941. After an extensive refit she was renamed the George Kermode and was used to maintain the Port of Melbourne. 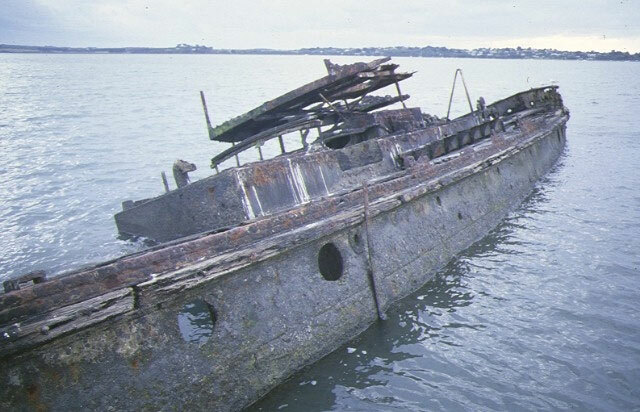 She was scuttled by the Department of Conservation, Forests and Land on the 1 April 1976 as an artificial reef in Cunningham Bay off Phillip Island. She now lies in upside down in 20 metres of water rising up to 12 metres at the highest point. A fantastic wreck dive, she is fairly well intact with lots of penetration. Built in 1914 in Paisley, Scotland, sunk on 1 April 1976, the overall length of the vessel was approximately 70.104 metres (230 feet), beam 13.4112 metres (44 feet) and draught 5.1816 metres (17 feet) giving a displacement weight of 803 tonne (885 short tons). See also, Heritage Council Victoria: TSS George Kermode. Twin screwed steam bucket dredge. Depth: 12 to 20 m.
Minah broke adrift from its anchorage during a gale in 1950 and stranded on a mud bank within sight of Rhyll. Vessel was later abandoned. Signal Letters: VSTF.